The overnight rise gives these yeast waffles just the right amount of fermentation for the best flavor. Add the eggs and baking soda just before cooking the waffles. Serve these waffles with syrup and bacon, ham, or sausages, or garnish them with fresh sliced fruit or berries for a lighter breakfast. Make waffles the "plate" for poached or fried eggs, or serve them topped with warm fruit compote or fried apples. Pour the warm water into a large mixing bowl and sprinkle with the active dry yeast. Let the yeast mixture stand for about 5 minutes until the yeast has dissolved. To the yeast mixture add the warm milk, melted butter, salt, sugar, and flour; whisk until the batter is well-blended and smooth. Cover the bowl tightly with plastic wrap and let stand overnight at room temperature. Just before cooking the waffles, add the eggs and beat until well blended. Add the baking soda, and stir until well mixed - the batter will be thin. 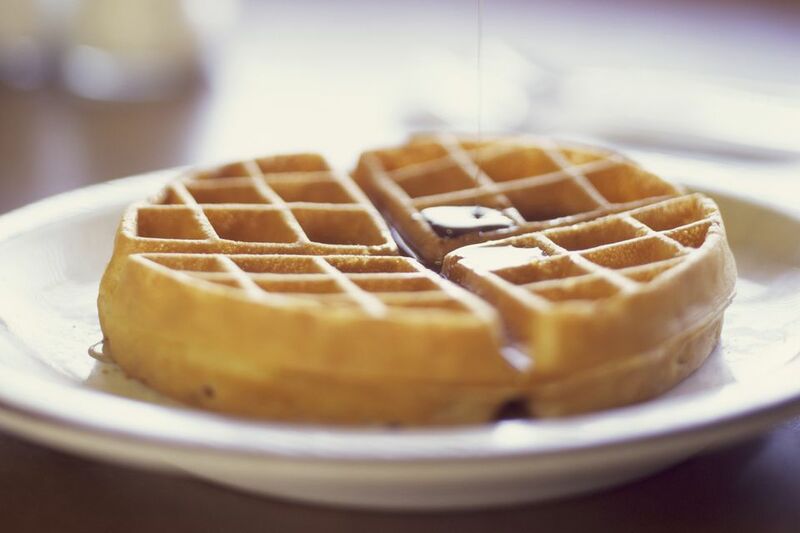 Pour batter into sections of a very hot waffle iron. Cook the waffles until they are golden brown. Store leftover waffles in the refrigerator or freezer. Use silicone utensils or ones made specifically for nonstick cookware. Removable plates are a convenience when it comes to cleaning, but always follow the manufacturers' directions for cleaning and cooking with your appliance. If your waffle iron doesn't have an indicator light, here's an easy way to tell when it's ready for the batter. Put a little water inside the waffle iron before you begin heating. When the steaming stops, the waffle iron is ready for the batter. How do you tell if the waffles are done? Again, watch the steam coming from the iron - when the batter stops steaming, the waffles should be done. Let the waffles cool completely; put them in a zip-close food storage bag and store in the refrigerator for up to 3 days. To freeze, wrap in foil and seal in a freezer bag for up to 3 months.